Less maintenance and easier inspection. Easy access to the control panel and internal components. 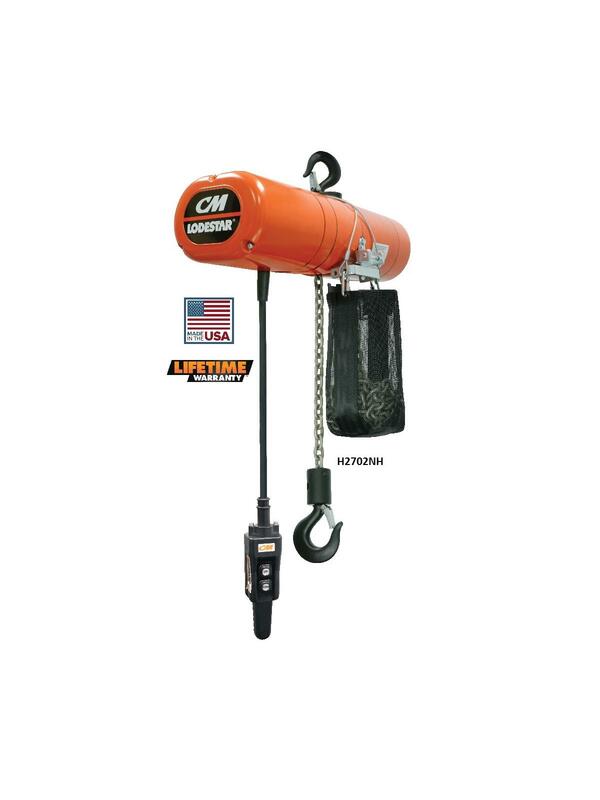 Longer service life with a heavy-duty motor and DC brake, lifetime grease-lubricated gear box and helical gearing. 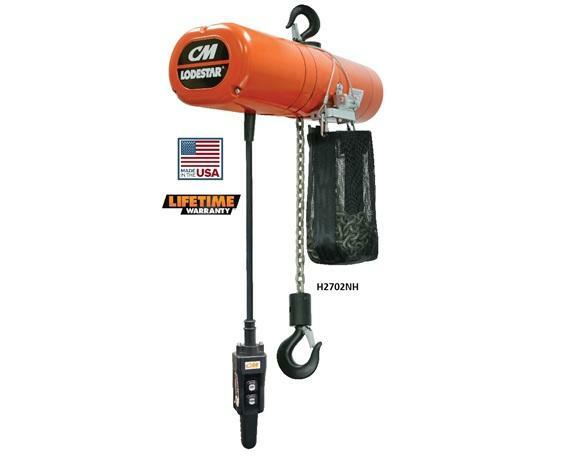 5-pocket liftwheel for smoother lifting and longer chain life. Zinc-plated load chain protects against corrosion. Fabric chain container included as standard up to 20 ft. lift. Features quieter operation, an environment friendly design, easier access to components, higher duty cycles, less maintenance and enhanced safety features. FOB Shipping Point. Metal chain container available for additional charge.